Military, commercial and scientific customers are increasingly turning to autonomous underwater vehicles (AUVs) to complete a wide range of oceanographic and military tasks – everything from underwater surveys to inspection of submerged structures, undersea mapping and finding sea mines. AUVs are now playing a key role in the years-long search for Malaysian Airlines flight 370, a Boeing 777-200ER which disappeared from air traffic controllers’ radars during the early morning hours of March 8, 2014 during its journey from Kuala Lumpur to Beijing. Since the plane went down, a massive surface and underwater search effort has scoured a massive slice of ocean, jungle and coastline between Australia and Southeast Asia. Only a few items of debris from the missing plane have been recovered despite a number of nations contributing to what has been called the most expensive search operation in aviation history. In January, the Malaysian government announced that it had hired the U.S.-based company Ocean Infinity to look for remains of the Boeing in the southern Indian Ocean. Ocean Infinity agreed to a “no find, no fee” deal, meaning that the company will only be paid if they find wreckage. The ship is currently offshore from Perth, Australia. Ocean Infinity is sending the Seabed Constructor, which has been called the most advanced civilian vessel in the world. The ship is loaded with eight AUVs which can scan 1,200 kilometers per day at depths of up to 6,000 meters. The ships AUVs use acoustic positioning HiPAP 502 telemetry and can travel at up to 6 knots, the company said. 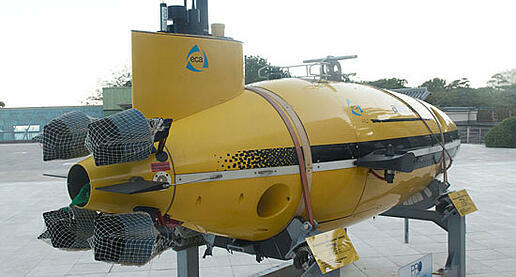 Each AUV can operate for 60 hours traveling at 3.6 knots. The boat is also carrying unmanned surface vehicles which are loaded with sensors, cameras and advanced telemetry; they can operate for 140 hours at a speed of 4 knots. “The excellent maneuverability of the autonomous vehicles, which are essentially underwater drones, also make them more efficient at scanning mountainous structures on the sea floor,” research Victor Iannello told news.com.au. The ship’s AUVs will be operated simultaneously, the company said. Globally, the AUV market is anticipating steady growth, according to a new study from BCC Research. Driven by new technology and expanding applications, the AUV market is expecting a compound annual growth rate (CAGR) of 4.5% from 2016 to 2022, when it will be valued at $835 million. Leading growth in the market will be military and defense applications, which are expecting a CAGR of 6.1% for the period, although in terms of size, the civilian segment is the largest – it was valued at $423 million in 2016 and was expected to grow to $537.2 million by 2022. While the Seabed Constructor is the best in its class, AUVs have been used to search for downed aircraft and sunken vessels for more than a decade, the BCC Research report said. Likely the leading company in the AUV market involved in searching for downed aircraft is Klein Marine Systems; Klein’s AUVs have been used to locate the Titanic, the U.S. Space Shuttle Challenger, TWA flight 800, Swiss Air flight 111 and Egypt Air flight 990. For more detailed information, market trends and forecasts on the market for autonomous underwater vehicles, download the BCC Research report overview.